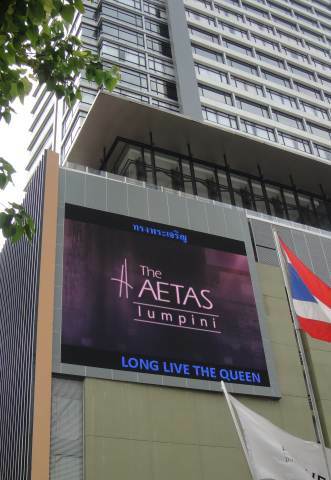 Aetas Lumpini hotel is strategically located on Rama 4 Road, within the central business district of Bangkok, Thailand. 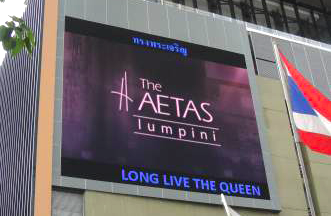 With 203 guest rooms and suites superbly furnished for business and leisure travellers, Aetas Lumpini is a brand new hotel offering outstanding accomodation, facilities and warm Asian service. 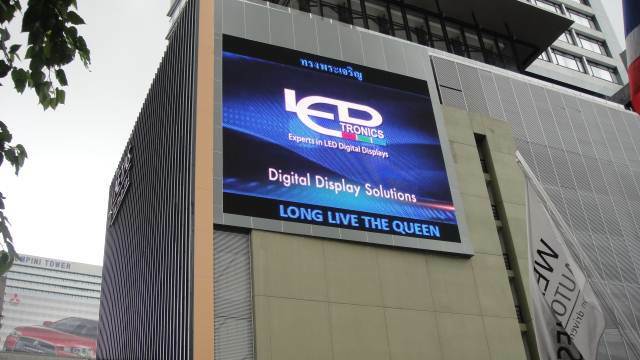 LEDtronics is honored to be chosen as the official LED digital display partner for the Aetas Hotels & Residences Group in Thailand. 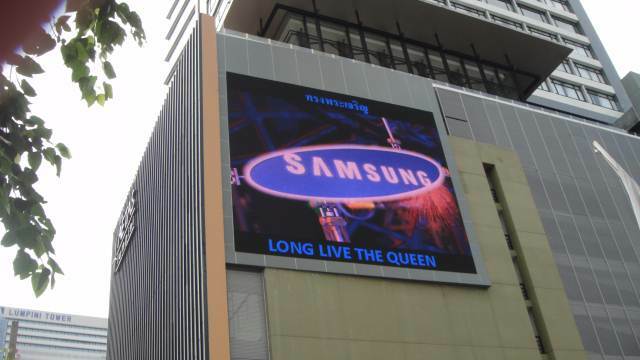 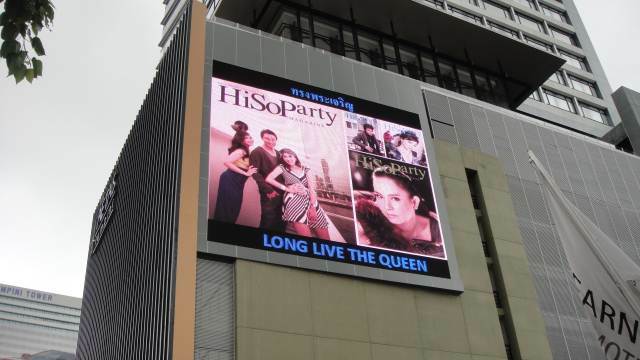 The LED display is measuring 9.2 m (H) x 10.8 m (W), and the installation was successfully completed in August 2011. 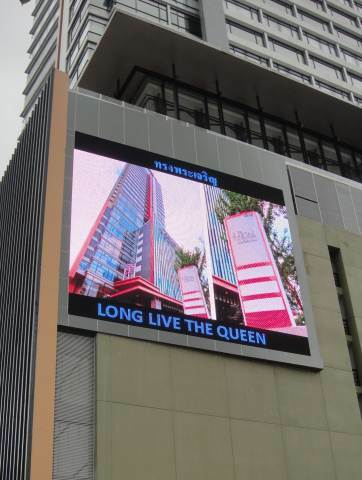 The LED display is a live video feature with spectacular 281 trillion colors capability, showing hotel room rates and advertisements.